Be able to create a fork, or copy, of a GitHub repository within your Github account. 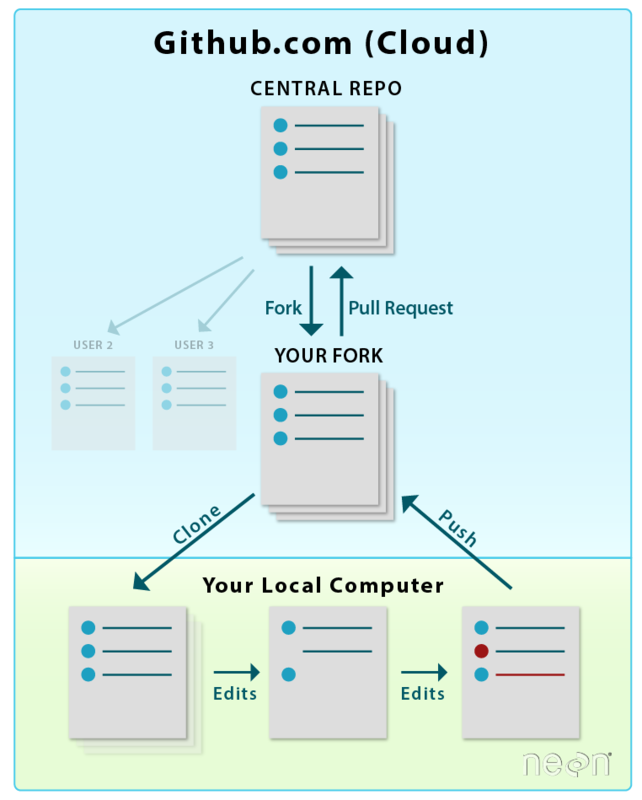 Know how to navigate between your GitHub repository and a forked GitHub repository. Be able to explain how your forked repository relates to the original repository that it was created from. 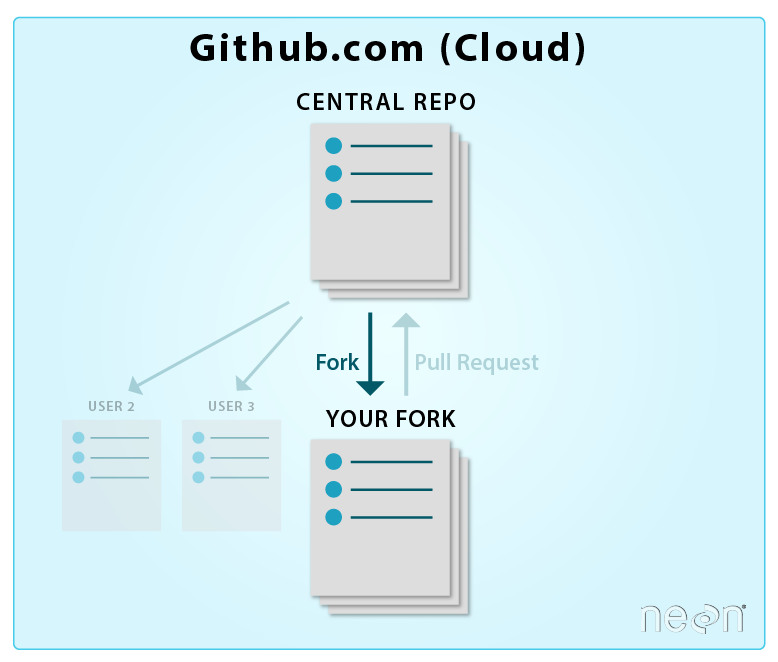 A GitHub fork is a copy of a repository (repo) that sits in your account rather than the account from which you forked the data from. Once you have forked a repo, you own your forked copy. This means that you can edit the contents of your forked repository without impacting the parent repo. Fork this repo owned by Earth Lab into your GitHub account. This workflow has a central repository - which is the one that Earth Lab owns. Everyone in the workshop will then contribute to the central repository. There are other Git and GitHub workflows too. However in this workshop, we are demonstrating a central repo workflow. You can fork any repo by clicking the fork button in the upper right hand corner of a repo page. Click on the "Fork" button to fork any repo on github.com. Source: GitHub Guides. Login to your GitHub account. 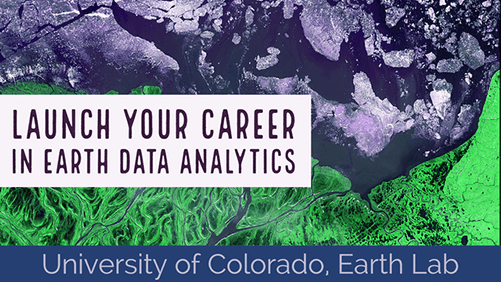 Navigate to the earthLab/14ers-git/` repo. Use the fork button to create your a fork of the 14ers-git repo in your account. Data tip: You can change the name of a forked repo and it will still be connected to the central repo from which it was forked. For now, leave it the same. The name of the repo: does it contain your username? Or your colleagues? Or Earth Lab’s? Look at the path or URL to the repo and ask the same questions. You modify your forked copy of the repo. The central repository is modified. If you modify your forked repo, the changes will not be reflected in the central repo until you merge your fork with the central repo. Navigate to desired repo that you want to fork. Central repo (on Earth Lab’s GitHub account ) - the main repo that everyone contributes to in the workshop. This is the “final working version” of the project. Your fork (on your GitHub account) - your working copy of the central repo stored in your GitHub account. Your repo clone (on your computer) - the local version of the fork in your GitHub account that lives on your computer. You will most often work locally on your computer and then push updates to GitHub. Learn about other version control workflows here. This includes using Bitbucket vs Github for git repo cloud hosting. Diagram of Git Commands – this diagram includes more commands than we will learn in this series but includes all that we use for our standard workflow.